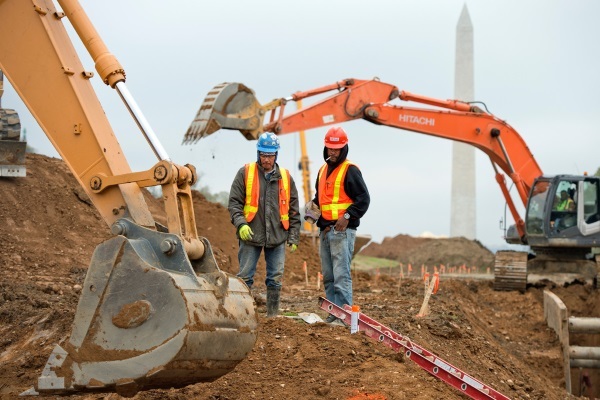 As we head to the end of the year and the presidential transition proceeds, we continue to hear that a major infrastructure bill could be a top priority for the new president and congress. While there is no shortage of needed projects, and even the potential for bipartisan support for new, much needed investment in our nation’s critical infrastructure such as roads, bridges, airports and water systems. One thing that is lacking is a clear consensus on how to pay for the package that some estimate to total up to $1 trillion. This week’s newsletter features different articles about the proposed infrastructure package as well as ideas on how to pay the tab. I encourage you to look at the various funding proposals and think about what is in our nation’s best interest long term. Our country has benefitted tremendously from earlier generations’ commitment to building and maintaining infrastructure. But the last time the federal government increased the gas tax, the primary source for highway funding, was in Bill Clinton’s first term in the White House. Nearly a quarter century of construction inflation has tremendously eroded the Highway Trust Fund’s purchasing power, and we simply have not kept up with needed maintenance and expansion of our roads. Everyone seems to agree that upgrading our infrastructure is necessary and will be very beneficial to the economy in both the short and long term. But the big question we must we willing to answer is are we willing to pay the price. This section will become a regular part of the Ports-to-Plains Alliance newsletter. It will be designed to help our members and others to better understand the current status of and the opportunities presented by the Extension of the I-27/Ports-to-Plains Corridor in Texas. 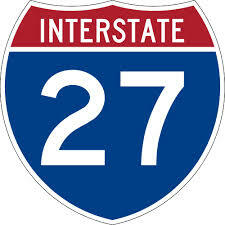 According to the Texas Freight Mobility Plan, “By 2040 over 73 percent of Texas’ population and 82 percent of the state’s employment is projected to be located within five miles of an interstate.” An extended Interstate 27 is critical for the economic competitiveness of West Texas. President-elect Donald Trump and his transition team are mulling ways to finance a massive infrastructure-rebuilding project, floating an idea championed by some Democrats as one option to get a legislative package to his desk. During their bitter presidential campaign, Democratic nominee Hillary Clinton had championed an infrastructure investment bank while Trump proposed paying for projects by “repatriating” profits U.S. corporations held overseas with a one-time 10 percent tax. But on Wednesday, Trump’s potential Treasury secretary told reporters that Clinton’s plan is in play. And there is evidence Trump’s team is already making calls to sympathetic lawmakers. Passage of an infrastructure package, despite an inevitably big price tag, could be a winner for both parties because it would create jobs, even if only temporary ones. The chief executives of state departments of transportation told Congress and the incoming Trump administration that even after last year's Fixing America's Surface Transportation, the Highway Trust Fund will soon be back in crisis mode unless lawmakers provide a long-term funding stream for it. Officials at the Nov. 12-15 annual meeting of the American Association of State Highway and Transportation Officials discussed the potential for a soon-to-be President Trump to follow up on his campaign promise to send Congress a major infrastructure investment plan. But the state officials wanted to underscore the need to move beyond temporary infusions into the trust fund and dedicate more revenue to put it on solid footing for many years to come. AASHTO's board – which includes the CEOs of all state DOTs plus those of Puerto Rico and the District of Columbia – approved one resolution Nov. 15 at its annual meeting that offered the "vast policy and technical expertise" of AASHTO and member DOTs to President-Elect Trump and Vice President-Elect Mike Pence to help them develop infrastructure improvement initiatives. The board also adopted a resolution that spelled out the longer-term need to fix the trust fund. 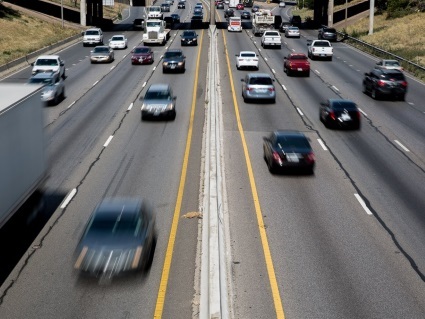 "Any responsible new infrastructure funding proposal needs to take into consideration and address the long-term solvency of the Highway Trust Fund and maintain the historic 80/20 split of revenues between the Highway Account and the Mass Transit Account," it said. Some conservative groups continue to urge Congress to split transit investment out of the trust fund, but the AASHTO board statement underscored the need to dedicate the current percentage of HTF receipts into mass transit services. That resolution also embraced language of an AASHTO-AGC-ARTBA Joint Committee to "urge the next administration, the U.S. House of Representatives and the U.S. Senate to secure the long-term solvency of the Highway Trust Fund by providing real, reliable, dedicated and sustainable revenue sources derived from the users and beneficiaries of the system." Daylight hours are dwindling rapidly now, yet this is the time to make hay because, in a sense, the sun is shining on makers of highway and transportation policy. American Trucking Associations said it is speeding up efforts to become involved with the infrastructure program being developed by President-elect Donald Trump and his aides. He envisions spending $1 trillion over 10 years. 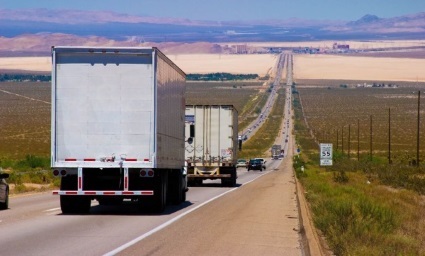 The ramifications of such an Eisenhower-like plan for trucking are potentially enormous, so the acceleration of the creation of an ATA infrastructure task force makes a great deal of sense. Trucking and the nation are desperately in need of sturdy bridges and well-kept highways that are not perpetually clogged with traffic. The five-year FAST Act signed in December 2015 took a swipe at this but didn’t do nearly enough. Its main virtue was that it ended the long-reigning chaos of a lengthy chain of temporary extensions. This could make a real difference for the nation’s network of roads, bridges, airports, electric grid and water systems — the prosaic but essential components of civilization. But how to pay for it all? ATA still backs fuel-tax increases on diesel and gasoline, which would then be protected against inflation through indexing. While this has been a superb mechanism for feeding the Highway Trust Fund, Congress has been loath to raise those tax rates. President-elect Donald Trump’s proposed trade policies have potential to help or hurt West Texas agriculture, say analysts. Meanwhile, cotton advocates hope administration changes mean another chance for farm bill coverage of their commodity. While not every elected official acts on every campaign promise, analyses are based on the scenario that Trump’s proposals are sincere. Farmers and their supporters can only speculate who Trump will appoint to replace Tom Vilsack as secretary of agriculture. They certainly like the idea, though, of a new set of eyes and ears on their request to list cottonseed in the 2014 farm bill. Cottonseed is separated from cotton lint in the ginning process; its uses include dairy cattle feed and cooking oil. 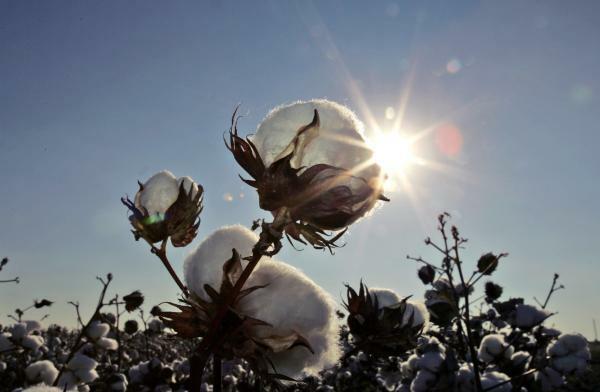 A farm bill listing would have classified cottonseed as an oilseed, a category that includes other commodities such as canola and flaxseed. U.S. House of Representatives Agriculture Chairman Mike Conaway and others have supported the designation, but Vilsack announced in February he lacks authority for the listing. Formal discussion for the 2018 farm bill could start next year. Can Hotels Impact Rural Communities? I recently attended an annual conference held by a hotel brand that specializes in, and is committed to rural communities. During the conference I attended a panel discussion with a group of investors who own a number of hotel facilities operating under this flag. While the group discussed a variety of best practices as well as their specific experiences with this brand, one question posed to the group caught my attention. The moderator asked the panel why they ultimately decided to invest in the hotels they owned. To a person, each investor replied that the number one reason for making the investment was to help their community. To those of us who live in rural communities, that reasoning doesn’t seem as strange as it may to those who live in larger urban areas. Living in rural areas teaches us that collaboration is key to accomplishing anything. In fact, one of my greatest joys as an economic developer is taking my place at the board room table as I listen to the various organizations in our community discuss their partnerships and the importance of those relationships in accomplishing their goals. It’s something that makes small town America unique. It gives small town America its identity. Working together for a common goal. According to conference keynote speaker Glenn Haussmann, President of Rouse Media and recognized hotel industry expert, more rooms will be sold in 2016 than ever before. That said, how can small towns capitalize on this boon as well? About right now you may be thinking, hold on a minute Corey; how can a hotel cash flow in a town of under 5,000 in population? That can’t happen. To some industry experts who feel the same way, you may have a valid point. In fact, one participant in a panel discussion on feasibility during this very conference even said, “good luck trying to get a 30 room facility cash flow.” But to those who are willing to consider something different, daring and distinct; there is a business model for success in rural communities. 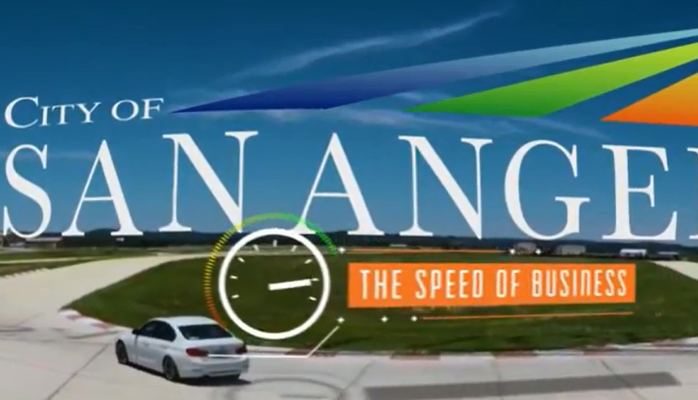 The investor panel provided proof positive that an effective small town model exists. In fact, when questioned about facility performance, none of the investors on the panel had experienced a cash call and each of the panelists indicated that the operations of their hotels were outperforming their financial projections. Who cares? What’s the big deal? Why is this so important? Our rural communities’ very lives may depend on it. So how can a hotel facility impact a rural community? Let’s take a look at a few possible impacts. Those of us who live in rural areas are familiar with the concept of leakage. Leakage may apply to various sectors like retail, food and beverage or lodging but whatever the specific industry sub-sector we are familiar with, the general concept remains that people are leaving our communities to transact business in the next community over and our revenues and quite possibly our profits are leaving with them. 1. 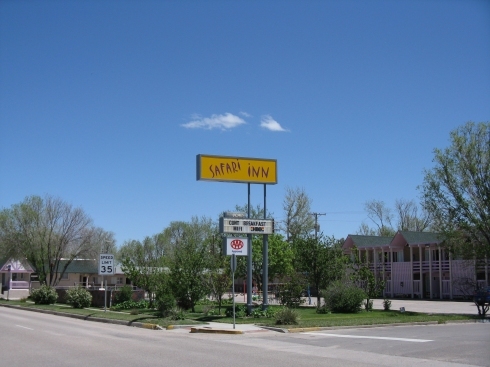 Hotels can help small communities re-capture lost revenues. 2. Hotels provide support for local businesses, families and organizations. 3. Hotels provide meaningful local experiences. 4. Hotels can bring more dollars and cents to your community.